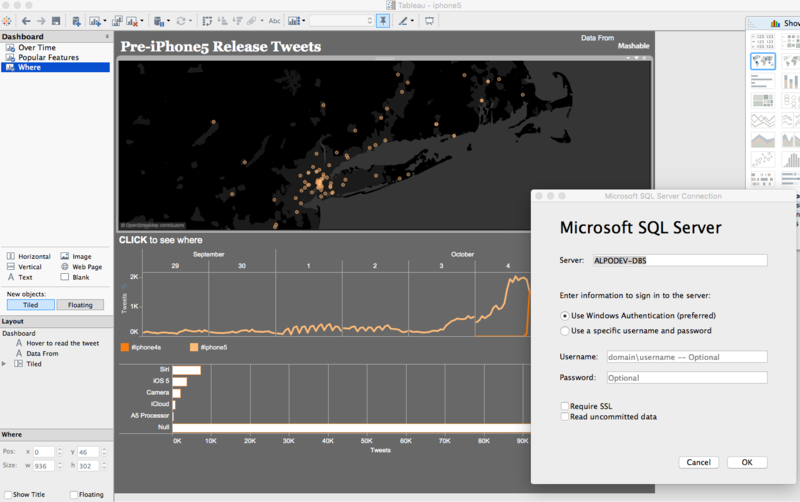 My impression with Tableau as a BI tool, is that it is better with numbers than with lots of text based data. However I found this sample on Tweets, to do with iPhone Release related tweets. Seems exactly what I’m interested in. But when I click on te Data Source Tab, it points to some mysterious MS SQL DB (ALPODEV-DBS) which is not included. I wish it was included to give me a better idea how I might link to that type of data.